That's what i needed to know - short visit to the springs for me this weekend so I'll stick to the south pass! The top of Cerro Gordo Road starts at 8200 ft. and drops through a valley that doesn't get much sun this time of year. Given the amount of snow I saw at the top of the North Pass (1000 ft. lower), I doubt you'll be able to get through. If you decide to try it, Be prepared because the likelihood of seeing anyone else up there is pretty slim! Don't forget to post a report here, one way or the other if you go. 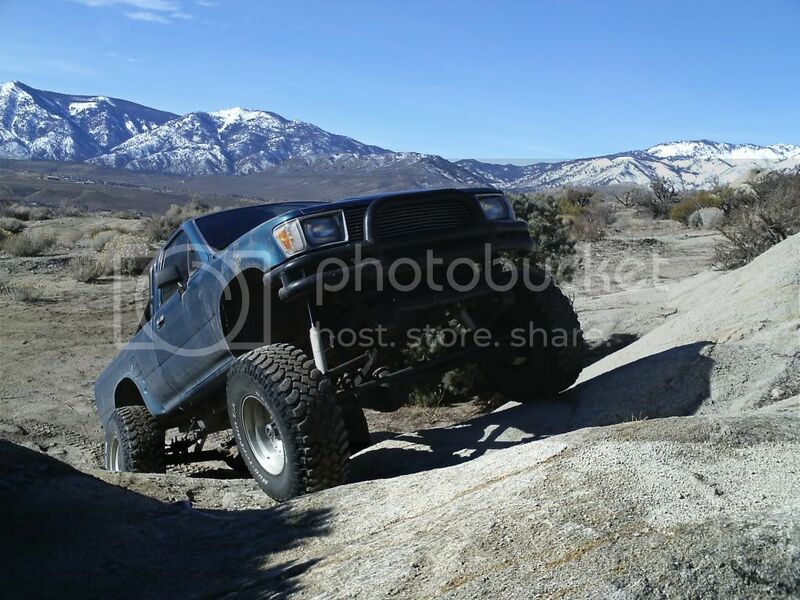 anyone have any thoughts on the cerro gordo road into saline valley - never visited Cerro before. Looking at heading in on Fri morning. Anyone any ideas on snow up there? Driving a lifted landcruiser with 4wd. Lots of patches of snow and ice on Hunter Mountain Pass as of 12/31. 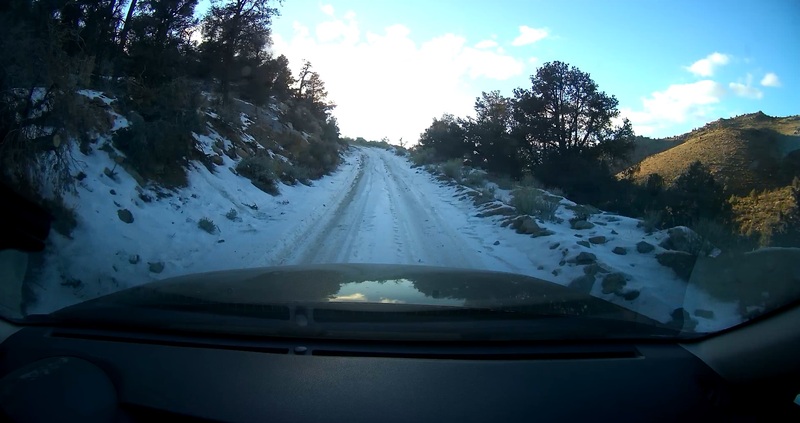 I lost traction for a few seconds on an ice patch on a really steep portion right into a hairpin turn so that was fun. It was my first time through the pass but it seemed like it was in pretty good condition. Just be mindful of snow/ice in the upper elevations and it should go well. For reference my vehicle is a lifted Impreza so I would imagine any 4x4 would be fine. It all depends on who's behind the wheel! Cerro Gordo coming down towards Saline Valley is a little rocky but nothing too bad. White Mountain Talc road was recently graded but there's some big sharp rocks sticking out of the shoulders. We took Hunter Mountain over to Teakettle Junction and it was in good shape. Had some ice on the backside doing the switch backs from one of the springs coming out of the hill but otherwise it's fine. I know it's more Panamint than Saline, but Goler Wash was in good shape. Not a lot of sand but a little muddy from the springs running down the middle. Mengel Pass was rocky but mild compared to a couple years ago. I did the whole thing in 2wd unlocked from Goler. High clearance recommended though. Went up to Cerro Gordo starting at Swansea and it really hasn't changed much since last year. Dropped down to Lee Flats and that road is a little ratty in the wash but there are numerous lines around rock out cropping. Not a Subaru kind of road but other off-road type can get through it. If your asking if you can make it you probably can't. The final Warm Springs road sandy section before Bat Rock pitches you up/down like a roller coaster. otherwise rest of road is in average condition. I can see why people veer to side or even off road to avoid. not maintained by county. Volunteers could smooth it with the drag hitch mechanism. According to Inyo County Roads Department White Mountain Talc Road should be passable again by mid October. They will be heading in soon with heavy equipment. I tried driving the White Mountain Talc Road to Bonham Mine yesterday 8/26. On the way in past Lee Flat I came across Miller Towing trying to make their way up the backside of Cerro Gordo to recover a stuck vehicle. Miller Towing was on their way back out the Talc road to go around and up the front of Cerro Gordo. He said he had spent 4 hours trying to dig and pick his way to the Cerro Gordo turn off and couldn't make it reporting 4' deep washouts across the road in a few spots. I was towing a off road teardrop with a Rubicon Unlimited. He said if I dropped the trailer I might be able to make it but no way with the trailer. I ended up spending a nice night in Lee Flat. I tried it back in October. The drive down the valley to the point where the road turns left up the mountain is easy. From there, it is badly washed out, big rocks and can only be done at a slow walking pace. Even then it's pretty uncomfortable. 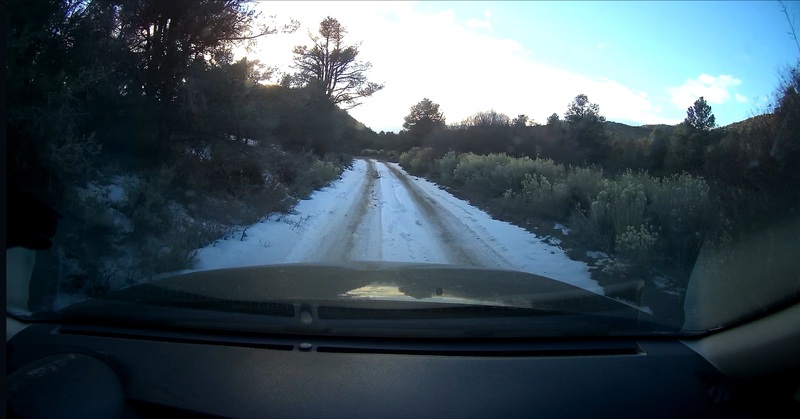 After about a quarter mile of this, my passengers rebelled and we turned around, finishing the journey via the main road and the regular road up to Cerro Gordo. Despite being a very long way round, it was probably a lot quicker. I tried to find out about the road afterwards - my impression is that it's doable but will take several hours. Do please post what you find if you decide to go ahead with it. In June the road from Swansea to Burgess Mine and back along the crest to Cerro Gordo was in standard condition and getting heavy traffic. I've travelled that road twice. First time I was on my dirt bike and it was a piece of cake. The second time was with the PanamintValley.com group. We had about a half dozen drivers of various levels of experience and rigs ranging from a stock Tacoma to my lifted Hi-Lux. We all made it, but it was a bit of work to get a couple of the rigs through. There are only a couple spots where you might have problems, but if you do have problems there, things could go sideways (literally) in a hurry. The good news is that the first questionable spot isn't too far down from the top. If you get there and decide you can't or don't want to continue, it's easy to turn around and go back up. Once you get through the first side hill section though, it would be quite difficult if not impossible to go back up. So, if you're asking "Can I make it?" I dunno. I've never seen you drive. A group of experienced drivers should have no issues, but I don't suggest trying it alone. Went to the Racetrack via Ubehebe on Saturday 5/27. Per NPS graded a few weeks ago at least from the volcano to Teakettle Junction and a little beyond. Reverts to hellish washboard along the playa to the junction with Lippincott. Grading machine was parked by Teakettle. 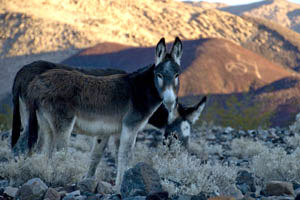 I wish they would do the part along the Racetrack Playa itself, because that part is awful. You can't even go faster to get on top of it, so I would say that section at least is as bad as ever. Saw a passenger car there. Explored into Hidden Valley a bit and it was also well graded and smooth. Oriental Wash was no problem a few weeks ago, but the highlight of that route was Gold Point, a fun spot to stop and look at all the old mining paraphernalia, especially in the old bar, that would be a fun place to spend a couple of hours before finding a campsite. Genocache, did you make to the Magruder Corridor? I'm considering a hot springs tour trip up that way in June and I was wondering if it's passable that time of year.